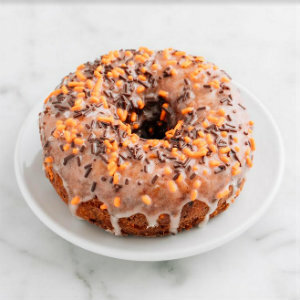 On Halloween, both Sidecar Doughnuts and Coffee locations in Costa Mesa and Santa Monica will offer a FREE Halloween Cake Doughnut to anyone and everyone that shows up in a costume! All ages, limit one per customer. Sidecar was created by Brooke Des Prez and Sumter Pendergrast in 2013 as a doughnut shop with a creative flair like no other. Pendergrast wanted a special place with cutting-edge coffee, and after meeting chef Des Prez, he knew her artisan doughnuts would be the perfect complement to this coffee centric meeting place. Sidecar Doughnuts & Coffee is located at 270 E. 17th St. in Costa Mesa, and 631 Wilshire Blvd. in Santa Monica.